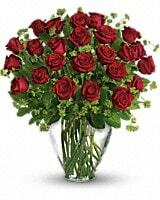 My Perfect Love - Long Stemmed Red Roses in New York NY - Embassy Florist, Inc. When it comes to romance, the red rose rules! 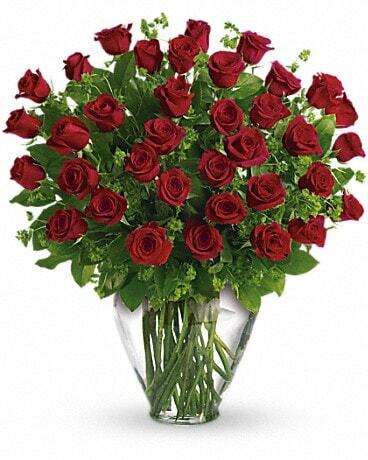 Endulge your perfect love with this extravagant bouquet. And when it comes to delivering romance in a big way, two dozen (as Shown), Are a brilliant choice. 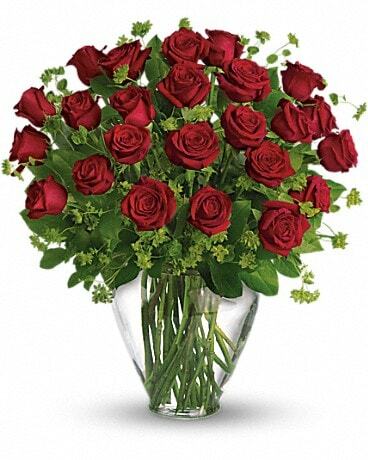 Surprise her with thirty (Deluxe) of these gorgeous roses. 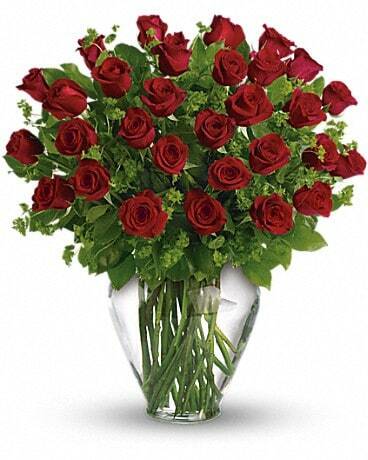 The emotional Power of a dozen red roses times 3 - 36 (Premium) gorgeous red roses delivered! If it were Elizabethan England, she would swoon. Maybe she will anyway!